Last year I started preparing for Purim early and really worked hard not to leave everything to the last-minute. I was so happy not to be finishing my boys’ costumes right before the sueda! However, this year, with my new job, it has been hard to get started early. Now I am down to one week before Purim and so much to do: costumes to make, shaloch manos to assemble, and food to cook. Luckily we are not hosting a sueda, so that is one less large task. Thankfully all of my past research and checklists will help me get through it all. Here is my Purim checklist that you can adapt for your needs: Purim prep. 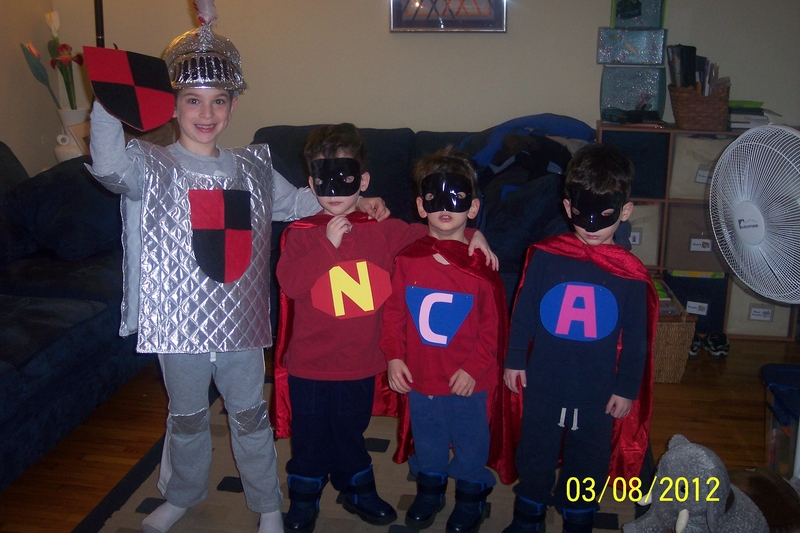 Here are my kids from last year — my oldest as a knight and my little ones as superheroes.